This recipe is an adaptation of Richard Bertinet’s olive, herb and Pecorino sticks from his brilliant book ‘Dough’. 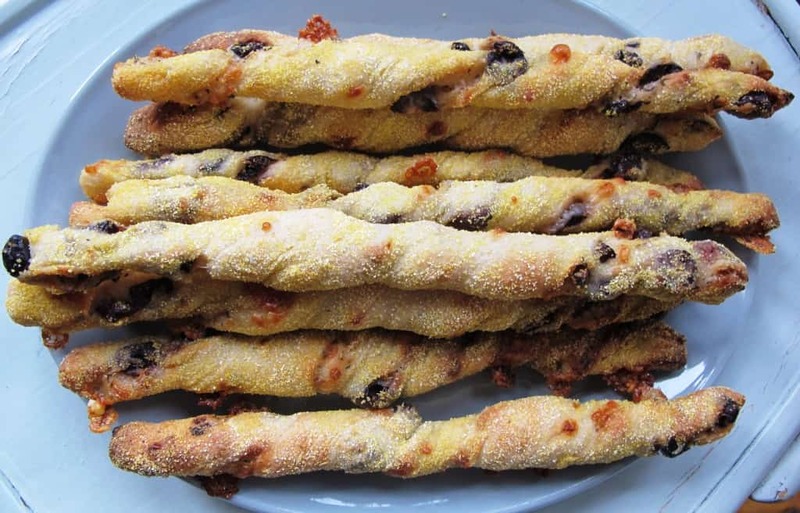 These parmesan breadsticks are deliciously bready and chewy, not the crunchy kind, and are perfect with a big pot of hummus or for dunking in some homemade soup. 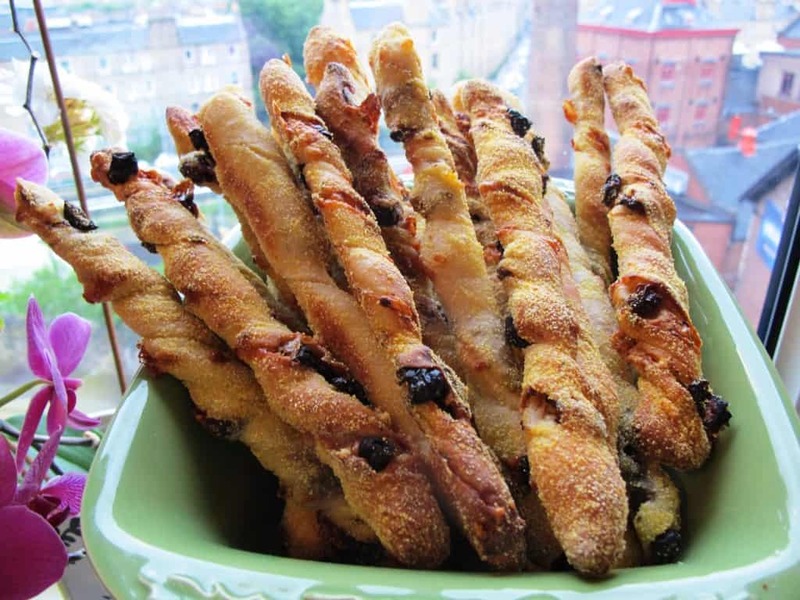 These moreish parmesan breadsticks are easy and quick to prepare. A favourite in our household for weekend sporting events or a lazy afternoon at home. 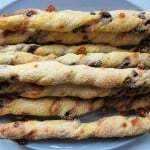 It’s worth getting the best quality sun-dried tomatoes/olives and Parmesan that you can because you can really taste both in these breadsticks. You could swap the Parmesan for Pecorino if you like. Combine the flour, yeast & salt in a big bowl using a whisk or fork. Add the water & mix with your fingers or a fork until the dough starts to form. Turn the dough out onto a clean, flourless work surface & knead for 10-15 minutes until it feels smooth & elastic. Put the dough into a lightly floured bowl, cover with a clean tea towel & leave in a draught-free place for around an hour (or until the dough has roughly doubled in size). Turn the rested dough out onto a lightly floured work surface & flatten with your hand into a large rectangle, about 2cm thick. Sprinkle the sun-dried tomato pieces & Parmesan over the flattened dough & press down into the dough with your fingers. Fold a third of the dough into the middle & press down. Now fold the opposite side over on top of this & press down all over -you should now have a rectangle that is one third of the width of your original one. Cut the dough into 1cm strips (along the short length) - you’ll get around 20 - 25 from this mixture. Dust your work surface with flour. Twist each of the strips as you gently pull or roll them to about 20cm in length (or the length of your baking sheet). Place on the baking sheet/s, leaving a good gap between each stick to allow them to prove a little more. Cover with a clean tea towel & leave to prove for 30 minutes. Meanwhile, preheat your oven to 220°C. After proving, bake for 10-12 minutes until golden brown & delicious.